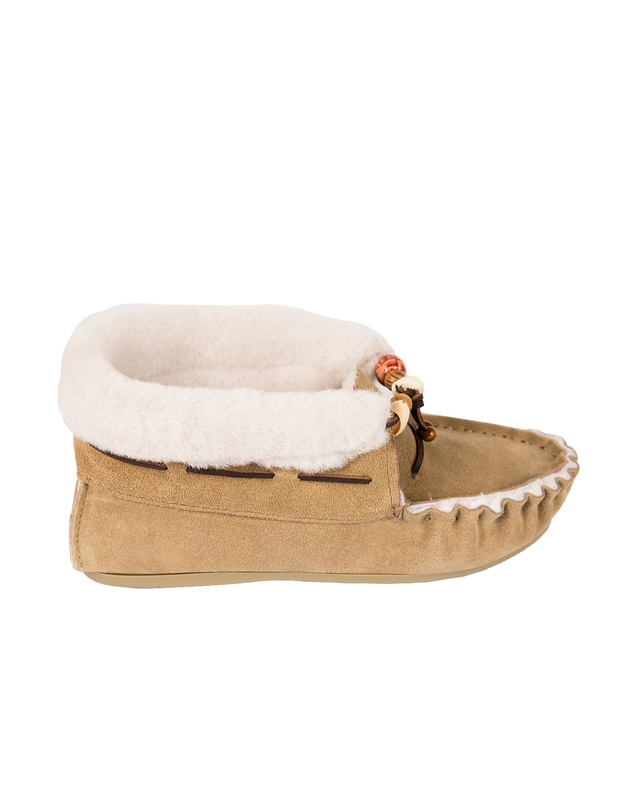 The traditional moccasin style with some added extra height and beading. Available in hard sole only. 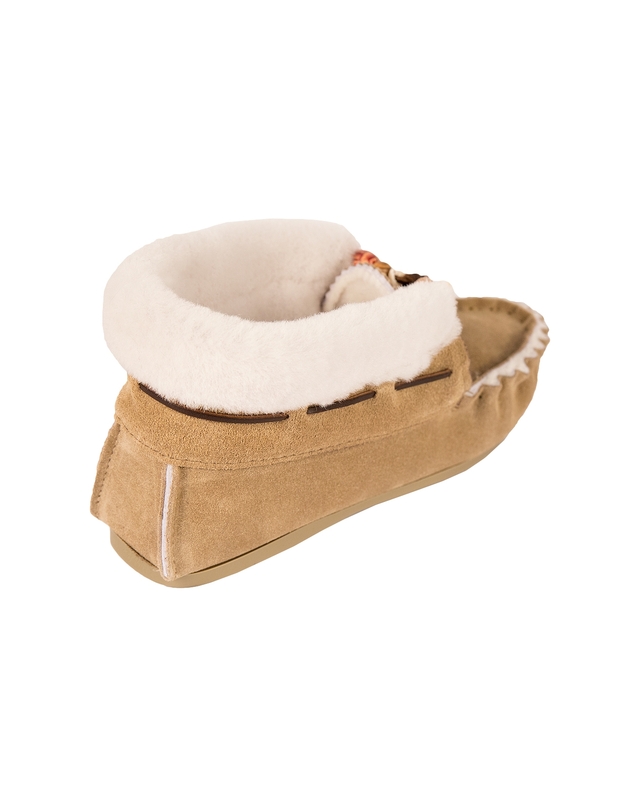 Super slippers, very comfortable, and yes, another reviewers advice about size as the fleece is so thick is well given. Very warm cosy slippers. Expensive but good value, with very thick sheepskin so you might want to go up a size. I know they flatten with wear, but you can always add sheepskin insoles if they get too big. Rather that than crushed toes when wearing them in! 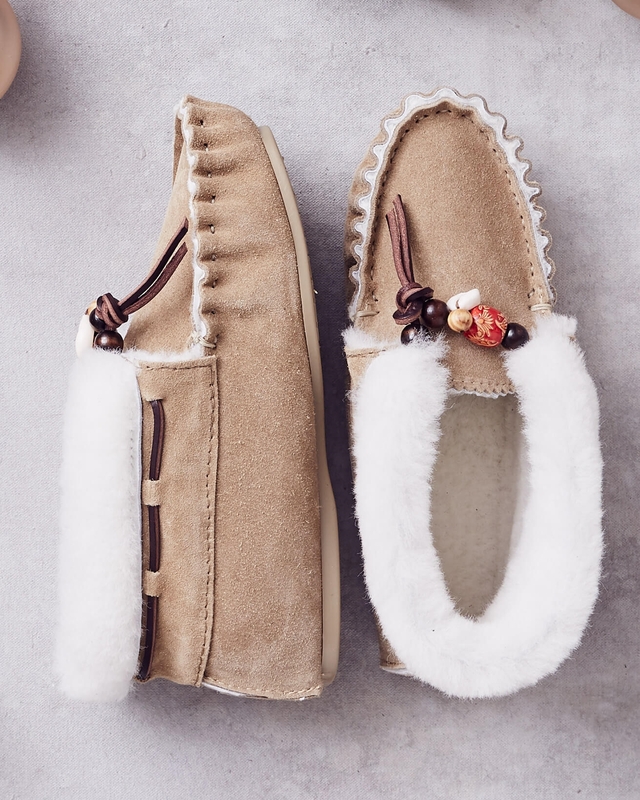 Really lovely, warm, comfortable slippers. I would recommend these to anyone.